STEEMCHURCH: DON'T FIGHT BACK, FIGHT FORWARD. When you here the word fight The idea that strikes your mind is physical conflict, war or battle but hey! There are fights and there's fight. The one I will expressly talk about is the fight that will help you move forward. 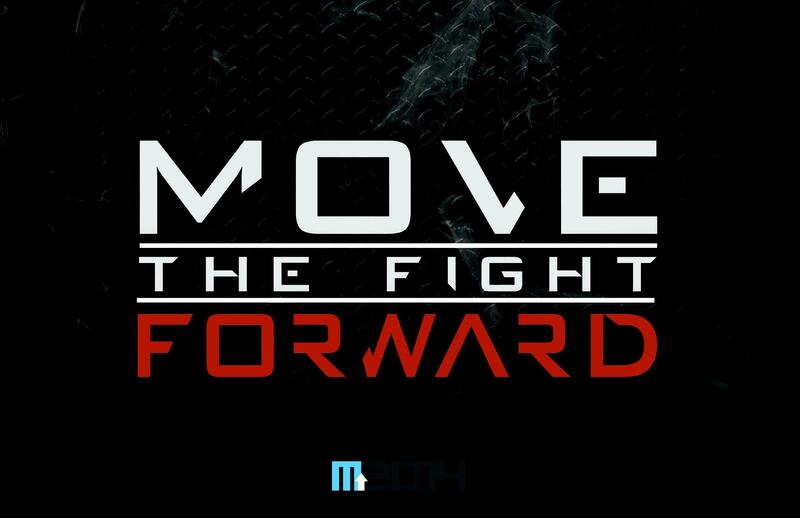 The fight to strive ,to contend and to campaign for something better. Enjoy this short piece and stay blessed like you've always been. Fighting back is to react, without a sense of wanting to change for the better. When you react after someone look down on you, insult you, deny you or betray you, any reaction at such time is just a response to an act that hurt you, without it ready to change YOU, into becoming a better YOU. Responding back to someone's insult or assault doesn't grow you, neither does it make you get better. Friend, you don't get to go above, when you give a man back in his own coin, just the same way he gave to you. Reacting makes you as stupid as the man who insulted you. Every man wants to protect his own ego, defend his own action and make a name for himself. Wanting to react or buy such man to your side after his assault on you doesn't change you for better. I need not buy you to my side after an insult, a denial or a disapproval. My result should attract you to my side afterwards. The beauty of taking result oriented action after an assault is that, nobody can resist a man who produces result and remain relevant over an extended period of time. However, anybody can get you angry. Any situation can displease you. Any condition can get you furious. Nevertheless, you can choose to channel your anger towards victory for yourself, and not trying to win over the other party to yourself. Trying to win people to yourself is just an effort in futility. Become a WINNER yourself and every folk, even those who hate you will come to your side. Hear this, a good fighter doesn't train to win his opponent. He trains, so that he can become a better fighter than he used to be, being able to defeat any opponent, even more than the one that confront him right now. "It gets tougher, when you go higher. Therefore, don't base your training or building up of yourself on the immediate condition that looks unpleasant. Train to always win. Winning becomes a reality when you become your best." Oh dear friend! I charge you to fight this time. Fight with an aim. Fight in a direction. Fight with just one goal at heart; the goal of becoming your best self, the absolute winner. I want you to fight forward. The man who doesn't chicken out because a situation threatens him is called a Hero. The man who puts the fault on everyone one except himself is called a failure. Now, who are you becoming? When a man makes you angry, most times, we fault the man so as to pamper our egoistic self. But, the best thing to do is to look beyond the man that gets you angry, the situation which gets you bitter and get yourself to channeling your anger for your best. Anger can re-ignite passion. It can restore drive. It can refocus your attention. It can be used for self profiting. If only you learn how to channel it for your best. Two people can get angry over the same situation. Both have different choices to make afterwards. One might choose to be embittered and get worse than he was because of the situation. The other can choose to be angry and leap over the situation. Your result is not in fighting back. It is with you, when you fight through. Fight for what is yours, not for what you loose. When you loose a thing, that means it was never yours. When it comes back, it means it was actually yours. Whatever is actually yours stays with you. That which you quest for, work for, fight for, believe yourself for. That which is yours, which you grow, nuture, work out. That thing, no man can take it from you. Friends, fighting is not a call to struggle. Fighting is beating your body to gain mastery. It is discipline to attract disciples. It is building attitude for a higher altitude. Fighting is all about becoming your own best. Fighting is the mystery to a life of victory. I hope someone outthere find something useful in all have said. Thank you!! @Adedoyin-Wealth (The leader of sc-n). Retaliating never solves problems, it inky compounds them and makes things worse. As Believers, we are to show forth good examples and represent Our Heavenly Father well, because people are watching us to see our reactions, we are the Bibles some people read. Well said ma. We are indeed the bible some people read. Well said sir. Thanks for stopping by. @Charleswealth. I totally agree with everything you've said. Fighting back is not in the character of a good Christian. The bible says vengeance is of the Lord. Fighting is not Christ like, no matter how much you are provokes. It's better to just walk away for peace to reign.